OUR FIRST GLIMPSES of Earthly worlds beyond the Solar System might just be looming into focus, say two teams of astronomers. 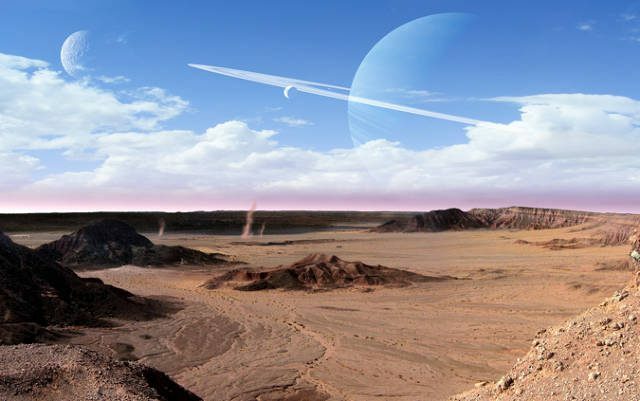 Independently they have found two promising candidates for low-mass planets that could play host to life. In their quest for low-mass planets, Bennett and his colleagues have been watching the way the gravity of stars magnifies the light from objects behind them, an effect called gravitational lensing. When two stars line up with the Earth, the gravity of the one nearest us can focus and brighten the one behind for weeks. If the nearer star has an orbiting planet, it could add a short extra brightness blip as it passes across our line of sight. That’s what Bennett’s team thinks it saw on 4 July last year. In a paper submitted to The Astrophysical Journal, they conclude that a planet caused a 2.5-hour-long blip in the brightness of a star near the centre of our Galaxy. From the size and timing of the blip, they calculate that the planet may be as light as a few Earths, and orbits its star in the inner zone where rocky planets are likely to form. Another way to search for Earth-sized planets is to look for tiny changes in the brightness of a star as a planet passes in front of it (New Scientist, 18 September, p 32). Since 1994, a team led by Laurance Doyle of the SETI Institute in Mountain View, California, and Hans-Jörg Deeg of the Institute of Astrophysics in the Canary Islands, has been attempting to catch this via a network of telescopes round the world. The team has created computer simulations of the way a faint double star system 55 light years away called CM Draconis should brighten and fade when planets with various sizes and orbits pass in front of it. says Doyle. “It’s smack in the middle of the habitable zone.” The astronomers say the brightness of the system should change in a predictable way in early October. Then they will be able to say for certain whether the discovery stands up.